Too often, people drift through life with a vague sense of uneasiness, living in the antechamber, longing to find some adventure or purpose, envious of those whose lives seem exciting. 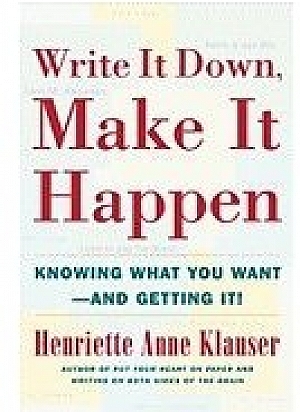 In Write It Down, Make It Happen, Henriette Anne Klauser, Ph.D., shows you how to write your own lifescript. Simply writing down your goals in life is the first step toward achieving them. The "writing it down" part is not about time management; it's not a "to-do today" list that will make you feel guilty if you don't get every single thing done. Rather, writing it down is about clearing your head, identifying what you want, and setting your intent. You can "make it happen" purely by believing in the possibility. There is no "right way" to write a goal down a single line jotted on a scrap of paper is as valuable as a full-blown description of the goal that goes on for several pages. Once you state your goals in writing, the rest of the world can cooperate with your ambition from grand career goals and major moves to having a better relationship with a teenage son, or simply waking up in the morning happy. In Write It Down, Make It Happen, you will read stories from ordinary people who witnessed miracles large and small unfold in their lives after they performed the basic act of putting their goals on paper. Dr. Klauser also includes practical exercises and tips on how you can use writing to understand what you want and become a proactive force in your own destiny. When you care enough to write down your goals, stand back. Wonderful things are about to happen. Write It Down, Make It Happen combines practical tips with inspiring stories--from a man who wanted to be an opera singer to a woman searching for a nursing home for her mom who had Alzheimer's. What if you write it down and it doesn't happen? The first thing to stop and consider is, maybe it did happen! It just did not happen the way you intended. Go back and look at the outcome of the outcome, the benefit of the benefit of the benefit. What was it that you wanted out of that goal? You may have gotten what you wanted after all, from a different avenue. My friend Charlie wanted to go to medical school. She wrote it down, described it in detail-and did not get in. Did she fail? She wanted to go to medical school so she could become a doctor. She wanted to be a doctor so she could help people who were sick. Charlie now works in a large city hospital as a physician's assistant helping people with AIDS. A friend of mine applied for a job he really wanted. He wrote on successive mornings how having that job would change his life. "At first," he told me, "I felt embarrassed to go back and reread the stuff about how much I wanted that position, then I realized that the message over and over, clear as a bell, was not the job itself, but what it represented to me: the ability to easily pay my son's college tuition, to pay the mortgage on my house, to have the money to take a trip with my family--those were the biggies that kept coming up in my writing and to be satisfied in my work, and appreciated. "I look back now and see I got everything I wanted, and some, in the position I did secure; in fact, it's even better, because it's closer to my house, and I like the company more. Until I realized that, I was still hung up on the fact that I did not get the first job." It wasn't the job he coveted; it was the security and the money that he wanted, and the time to be with his family. Jaimee wants to go to New York--she writes that down as the first outcome: the goal is to live and work in New York. As she continues to write, delving into the outcome of the outcome and beyond, she fills in the progression. The reason she wants to go to New York is to sing in a jazz club, and she wants to do that to feel fulfilled, to do what she knows she is good at, and therefore make a contribution to the world with her talents. Because of that, she can feel satisfied and happy when she goes to bed at night, and because of that, know in her heart for the rest of her life that she can dream big and have those dreams come true. She writes down her goal, and a year later, she still has not gone to New York. But guess what she did do? She made a demo tape to circulate to local clubs in her home town, and started singing in jazz clubs there. She has not given up her dream of going to New York, but in the meantime, she can still have the outcome of the outcome in her life. There are many roads to the mountain's summit, but the view from the top is the same. When you focus on the outcome, you needn't get discouraged. You just keeping asking, if not that, then what? The right side of the brain traditionally governs the feeling, non-verbal part of you, while the left hemisphere handles rational thought and logic. When your goal is not working, determine which side you are operating from, and make a conscious shift to the other. Get an emotional anchor if your practical side is running the show and running your dreams into the ground. Write about how it feels to achieve this goal; get passionate and expressive; attach an emotional connection. Conversely, do something concrete if your feelings are running away with you. 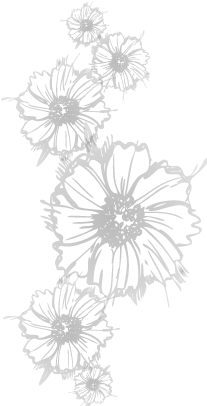 If your emotions (fear, doubt, worthlessness) are bringing you down, get practical. Think with your head instead of your heart. Educate yourself; get some brochures or books showing pictures of what you want looks like; talk to those who have done what you want to do; then write about some practical aspect of it to get grounded. Shifting puts you back in charge and creates the balance to get you unstuck. Okay. You wrote about the perfect relationship, and you met someone who fit the description completely. Then it all fell apart. Is that a failure? You didn't get to go on the Caribbean cruise after all. Somebody else won the trip to Paris. Enter to win the contest again, or find another to enter. That is what Helen Hadsell would tell you. Helen wrote the book Name It and Claim It. For Helen, Name It and Claim It refers specifically to contests. I would extend that title to encompass anything you write down to make happen. Name it, then claim it, is what writing it down to make it happen is all about. Helen says, "There is no failure, only a delay in results." That's one for those of you who like to hand-letter plaques or sew counted cross-stitch samplers, or photocopy pithy statements and put them above your computer or tucked into the corner of your mirror. THERE IS NO FAILURE; ONLY A DELAY IN RESULTS. Helen goes on to explain, "Don't ever dismiss or nullify good, positive energy because you are disappointed. Acquire the attitude, " . . . guess I need a little more patience." It really does wonders for your peace of body, mind, and well-being." One of the tenets of neurolinguistic programming is that there is no such thing as failure, only feedback. Napoleon Hill tells this memorable story in his classic, Think and Grow Rich. A certain Mr. Darby had a gold mine in Colorado during the gold-rush days. It served him well for a short while, and then apparently dried up. He drilled a little further, dug a little deeper, but nothing. So he gave up, and sold the mining tools and the land to a prospector for a few hundred dollars. Within three feet of the place where Darby stopped drilling, the new owner tapped into a gold vein worth millions. The incident changed Darby's life. He never forgot his mistake in stopping only three feet from the gold. Years later, he said, "That experience was a blessing in disguise. It taught me to keep on keeping on, no matter how hard the going may be, a lesson I needed to learn before I could succeed in anything." "One of the most common causes of failure," concludes Hill, "is the habit of quitting when one is overtaken by temporary defeat." Don't stop three feet from the gold. Go back and dig some more. When everything is falling apart, it is a good sign that everything is about to come together. In the very act of our birthing, we get a lesson for life. The ten minutes before delivery is often the hardest part of labor for mother and baby. It's called "transition." The mother is about to give up (too late!) while the father, who has read the birthing books and taken the La Maze classes, is ecstatic: he knows that, after the long period of labor, the baby is almost here. Likewise in life, chaos often comes close to completion. When you recognize this pattern, you rejoice when everything breaks down; you must be getting close to the finish line. When everything falls apart, I say, Hooray! We must be almost done. The computer crashes, the car's transmission goes out--wow. Something BIG, really BIG is about to happen. Push on. The breakdown heralds completion. You are three feet away from the gold. And if you are headed in the right direction, all you need to do is keep on walking and keep on writing it down to make it happen.